The Dunleavy Shaffer School of Irish Dance together with the Clifden Academy of Irish Dance hosted its first ever Irish dancing competition, the New England Autumn Feis in Marshfield, Massachusetts on Sunday. 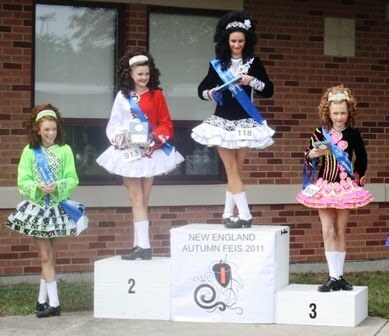 Nearly 1,000 competitive Irish dancers, mainly from New England and metropolitan New York, converged on this quiet coastal town for New England's first feis of the new season. Dunleavy Shaffer co-directors and TCRGs Suzanne Dunleavy McDonough and Theresa Shaffer Wilkinson, are both certified Irish dance instructors with An Coimisiun le Rince Gaelacha in Dublin, Ireland. 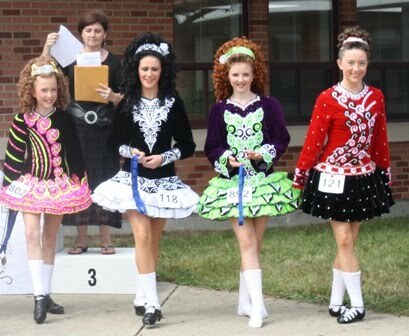 With multiple stages located in Marshfield's Middle and High Schools, champion awards in an outside courtyard and dozens of volunteers wearing pumpkin-orange teeshirts, this feis ran as close to on time as possible. 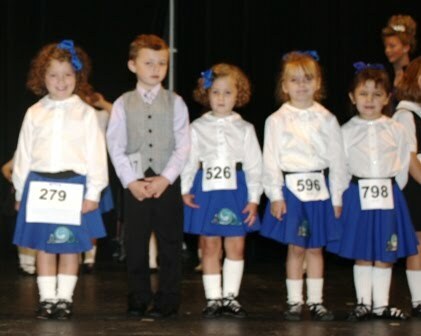 Despite the humidity, Irish dancers and their families and friends stayed happy and focused, dancing reels, jigs and hornpipes to live music in front of adjudicators from several states. Vendors included Feis America Irish dancing magazine, Dance Bling, Head for the World and Mary Devlin for Fay's Irish Dancing Shoes and used dresses and portrait photography were also on-site. 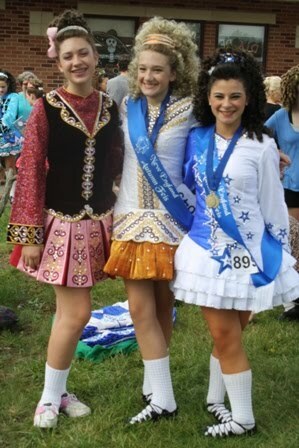 All champion level Irish dancers who placed in their competitions received royal blue sashes, and placing preliminary champions were treated to medals for each round. Instead of traditional trophies, the top three placements were awarded tasteful plaques. Award times and results were posted throughout the venue, and the competitor list, stage schedule and venue map were posted in advance on the school's website. 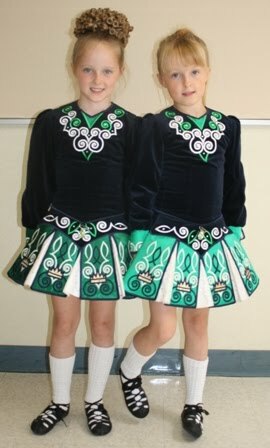 An informative blog with regular updates also was much appreciated by first feisers and experienced Irish dancers both. Preliminary Champions under 10 medaled in their light round. Open Champions under 13 with their round medals. Classmates from Gilleoghan Irish Dance (CT) share a laugh. Pre-beginners lined up to dance their very first reel. For more Irish dancing competition news, photos and family-friendly articles to inspire your favorite Irish dancer or fan, subscribe to Feis America magazine, North America's favorite Irish dancing and culture magazine here. All photos copyright Feis America LLC.